Between forests and deserts of the Dead celebration and fireworks, lively cities and pueblos, Mexico is a destination that continues to fascinate the curious travelers. With its mild climate and welcoming environment all yearlong, historic sites, national parks, museums, gastronomy … Mexico is THE tourist destination. Indeed, Mexico is attracting more and more tourists each year. During your next stay in the land of the Mayans, why not explore the most beautiful cities in Mexico? For years, tourists opt for-and with good reason-certain cities as their main destinations in Mexico. Some of the cities of Mexico are popular because of their cultural richness, while others are well-known for their whirlwind of activity. 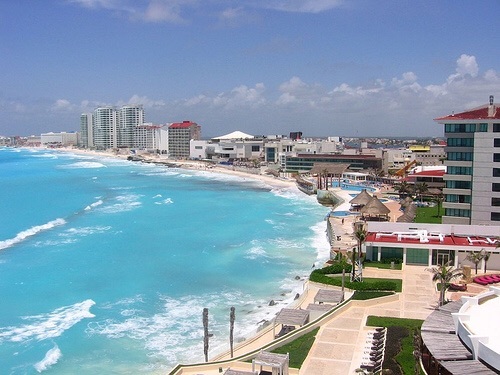 Cancun is a beautiful and colorful city. It is famous for its beach paradise of white sand bordered by the Caribbean Sea. The city is located on the northeast coast of the Yucatan Peninsula in the state of Quintana Roo. Known worldwide as the most beautiful resort town in Mexico, Cancun is a charming city that will seduce you for more than one reason. Its entertainment spaces, large luxury hotels, golf courses, international restaurants … the city of Cancun has everything to offer its visitors. Once you’re there, the jewel of Mexico offers a wide choice of leisure activities and sports such as water sports, amusement parks,etc. Who says Mexico, says Acapulco. Indeed, Acapulco is one of the oldest and most traditional beach destinations of Mexico. Not only is Acapulco a favorite destination for travelers for lazing on pristine beaches but also for its history. Indeed, Acapulco is a city with a rich past! Many historical monuments such as the Fort of San Diego (which houses the Historical Museum of Acapulco) are examples of this. 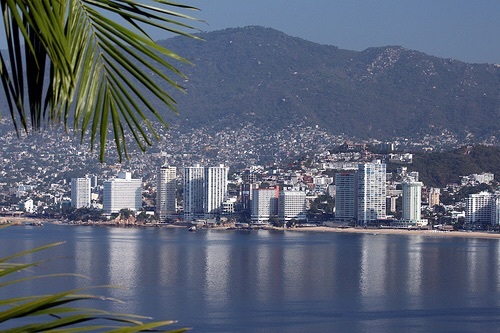 Most people recognize that the Tourist Zone of Acapulco extends from the main bay “Bahía de Acapulco”until the Punta Diamante. You will find fine international restaurants, nightclubs, hotels, white sandy beaches, shops, golf courses and other attractions of all kinds, which will delight young and old. Mexico is a must for any trip to Mexico. 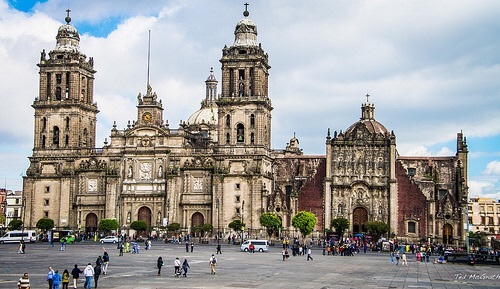 Indeed, it would be a shame to miss a unique stay in this attractive city.the As the capital of Mexico and birthplace of the Aztec civilization, Mexico City must be visited since you are in Mexico. Through the streets of the city, its monuments and its buildings, you will see what grew when the mighty civilization disappeared. It should also be noted that the Historical Center (birthplace of Tenochtitlan) is inscribed on the World Heritage list of UNESCO since 1987. Do not miss the best of the city during your visit like City Hall the archaeological site of Templo Mayor and its museum, the Palais des Beaux-Arts, the Alameda park, etc. Mexico is a fascinating and inexhaustible travel destination that begs to be explored. Why not indulge in a luxury trip to Mexico and discover the many attractions of the Mayan country?